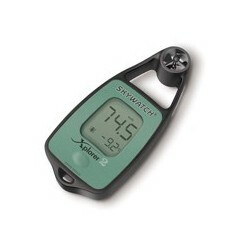 The Skywatch Xplorer 2 offers the most popular features in a handheld device, wind speed and temperature (including water temperature), with wind chill calculation. Its small size allows it to fit in any pocket, yet its case design makes it easy to grasp. 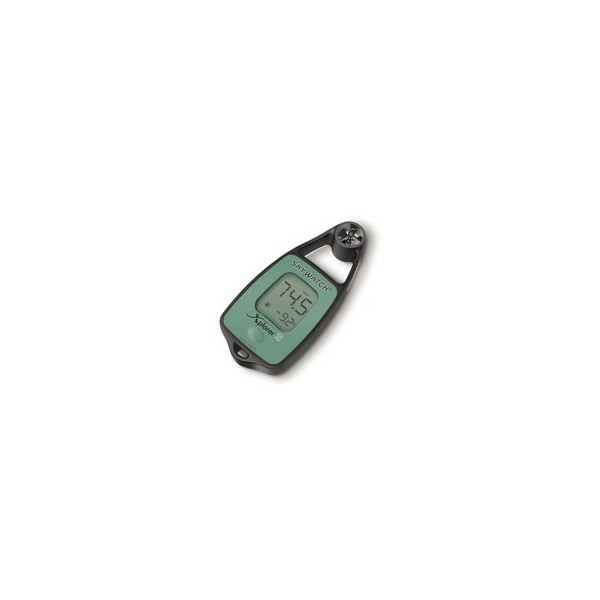 Single button operation allows for easy measurements, and the display has a backlight; handy for lowlight conditions. Designed with Swiss precision and accuracy.